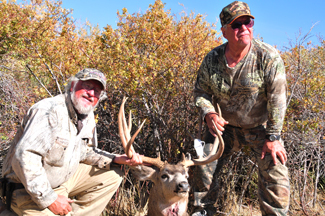 Nevada hunting quality is widely recognized as "Best in The West"! 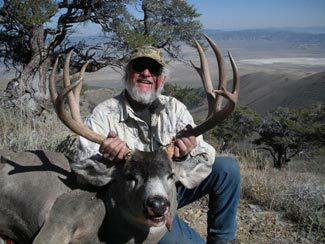 We are licensed state wide for all big game species. 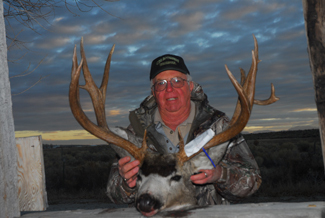 Mule deer, elk, antelope, and big horn sheep are found throughout the state and particularly in the Elko area. In addition, we have private land holdings, cabins, and private land access agreements with a number of locations available for both guided and unguided (do it yourself DIY) adventures using our private lands and cabins as a base. 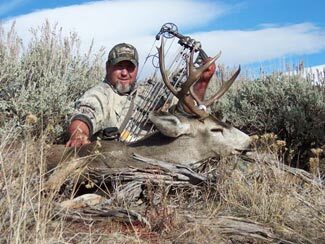 Depending on your tag drawn, your wishes, your experience level, we can set up a customized hunt to suit you! 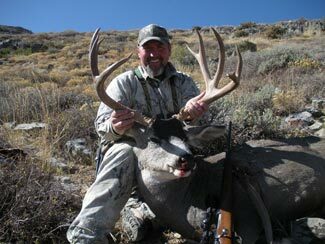 Mule deer hunting in Nevada is all on a draw basis and a preference point system. It is a complex system and we assist you in this application process to help you be successful in the draw. Your chances of drawing increases each year you apply and bonus points are becoming important in draw success. 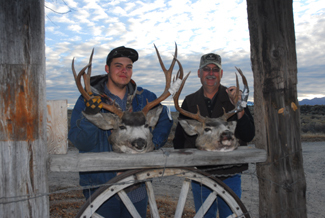 Applications are due in March for the special non resident guided hunts and April for the general season. 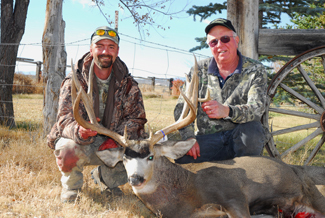 We offer rifle, muzzle loader, and archery hunts for all levels of experience. Hunts typically are 5-7 days. 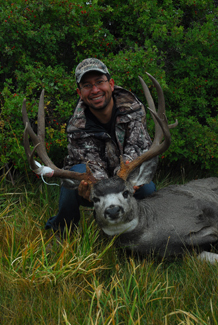 We know the area of your hunt and get you onto that big trophy. 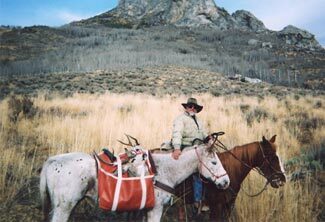 Many areas are accessible only by horseback or foot due to wilderness designations or private land ownership patterns. We can help you have access to remote country where deer numbers are high, older age-class bucks are abundant, and hunter numbers are low............the key to success! You can be assured of having a first class and fair chase hunt. The season will remain early in nature and end in early November rather than going further into November rut. There are some brand new late season rut hunts for a limited number of tags in certain areas for rifle, muzzle loader and archery.......contact us for details. Special landowner elk and mule deer tags will again be available through us and other co-operating landowners. As in past years your big game hunt does not end with your kill. 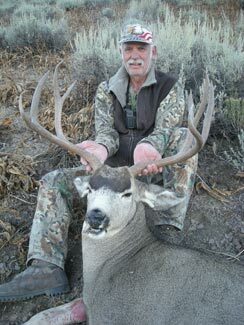 To fill up your week other hunts available include waterfowl, grouse, and wild chukar. And don't forget the great bass and trout fishing at South Fork Reservoir right in our back yard....one mile from the ranch!